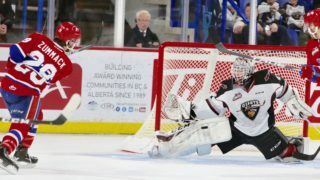 Carter Hart stopped all 39 Spokane shots as he picked up his league-leading fifth shutout of the year, leading the Everett Silvertips to a 3-0 victory over the Chiefs on Friday night in Everett. With the loss, Spokane is now three points back of Everett for second place in the U.S. Division and are tied for third with Tri-City. Spokane controlled play in the first, outshooting Everett 13-5, but neither team scored in the first 20 minutes. The Chiefs would out chance the Silvertips 13-6 in the second and get the only two power play opportunities, but would fail to score on Hart again. 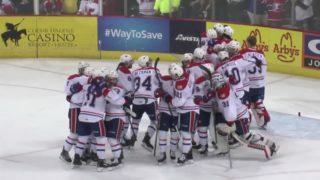 Everett would net what turned out to be the game-winning goal on a Sean Richards shot from the left side with just 47 seconds left in the period to take a 1-0 lead to the third. Everett’s Matt Fonteyne scored just one minute into the third on a shot from the right goal line that trickled inside the post on Chiefs goalie Declan Hobbs to make it 2-0 Everett. 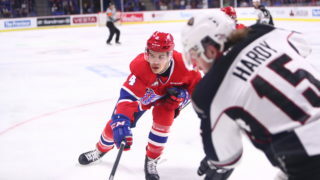 Spokane would fail on three straight power play chances in the third in going 0-for-6 on the night and Everett would cap the scoring on an empty netter in the final three minutes to come away with the 3-0 win. 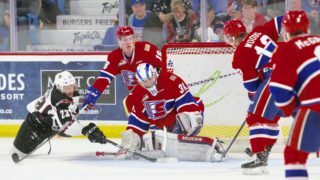 Spokane outshot Everett 39-20 on the night and was a perfect 3-for-3 on the penalty kill. 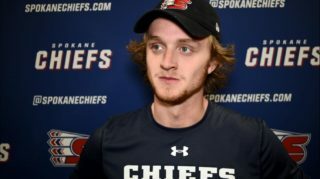 Everett now leads the season series 2-1 as the Chiefs return home to open a three-game home stand Saturday as they host the Seattle Thunderbirds in Spokane’s annual Teddy Bear Toss presented by The Spokesman-Review Christmas Fund at 7:05 pm. Mike Boyle will have the call on 1510 KGA starting with the pre-game show at 6:30 pm. 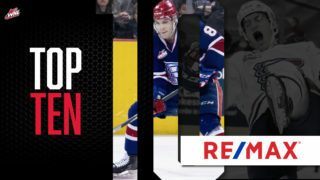 Tickets for Teddy Bear Toss Night and all Chiefs home games are available in-person at the Chiefs’ Ticket Office, over the phone at 509-535-PUCK and online at spokanechiefs.com.